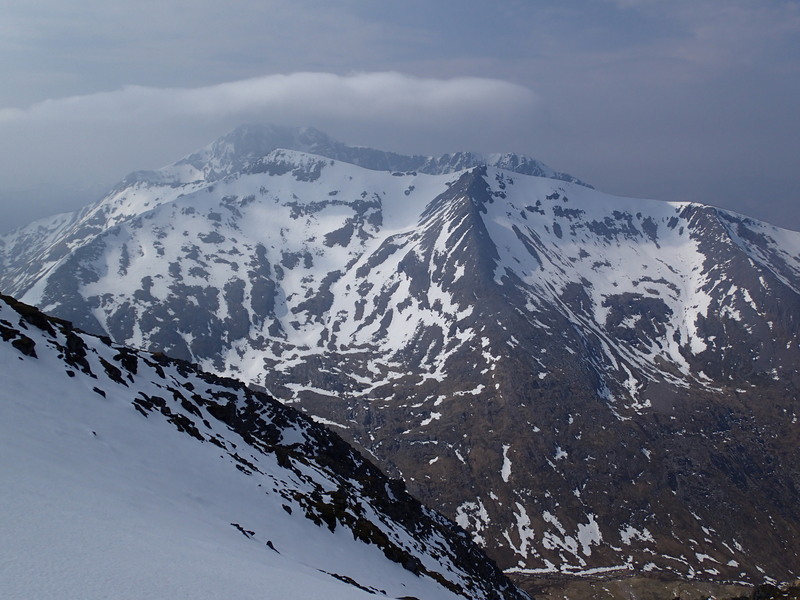 Today I had some views from Aonach Mor, as the cloud layer broke and lifted to give sunny spells. 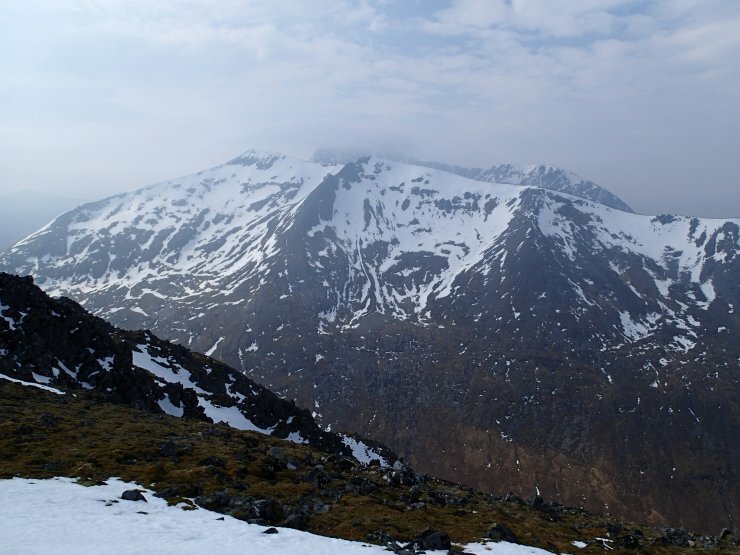 Carn Mor Dearg, with upper parts of Ben Nevis behind. 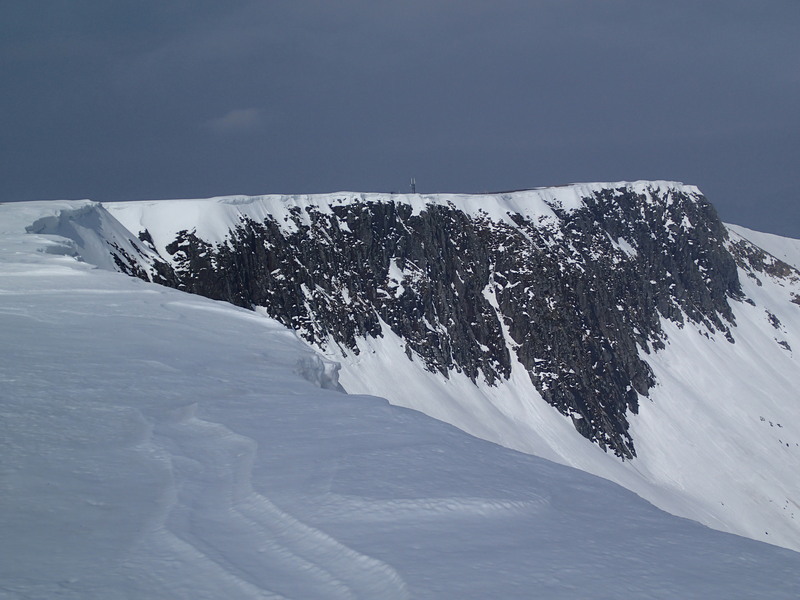 Aonach Mor: Coire an Lochain crags North of Easy Gully.